This year, over 80 guests, including clients, sponsors and staff assembled at Sutton Coldfield Golf Club to enjoy a day’s golf and to raise vital funds for charity. 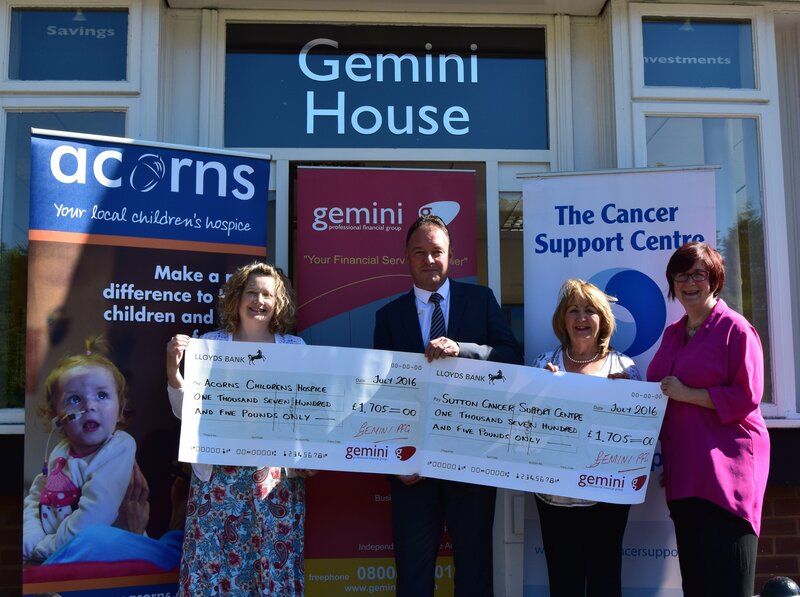 “Gemini have raised funds for Acorns in the past, and have supported us now for a while. 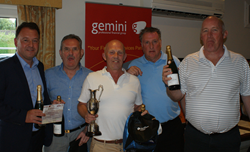 To be their joint Charity Partner for the year is fantastic and the amount raised on their golf day is a fabulous achievement and is gratefully received,” adds Joanne Danaher, Community Fundraising Officer for Acorns. “The event raised nearly £3,500, which is split evenly between the two charities. I would like to say thank you to all those who supported the event and gave so generously,“ concludes Dave Thomas, Gemini Director. For more information on Gemini – please visit http://www.gemini-pfg.com. For more information about The Cancer Support Centre, visit http://www.suttoncancersupport.org.